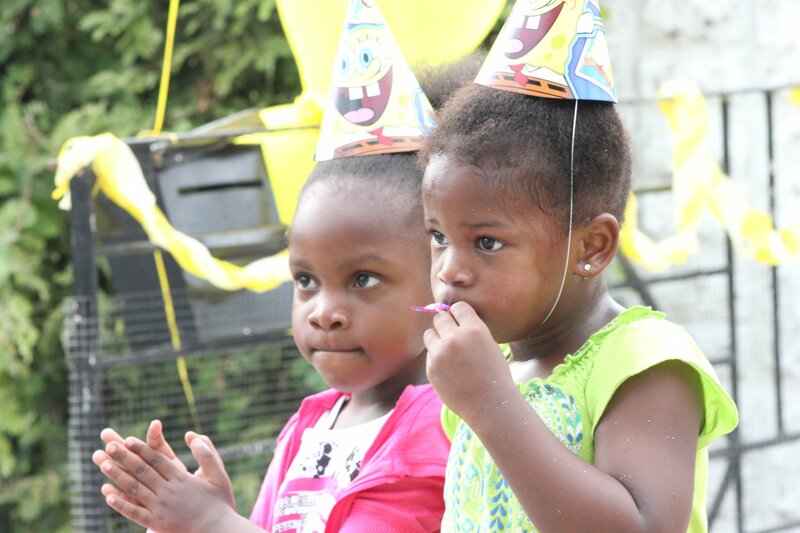 Munchkin turned 3 years old recently and I decided it was time for her first birthday party. I always said I would never be the parent to throw a 1yo birthday party as that is a party for the parents, not the child. 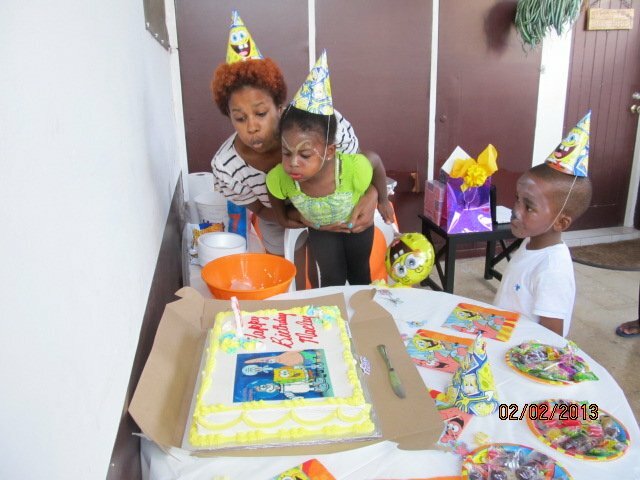 At 3, Munchkin is fully aware of what a birthday party is, has been to quite a few and was singing on having her own. Enter, Spongebob games! 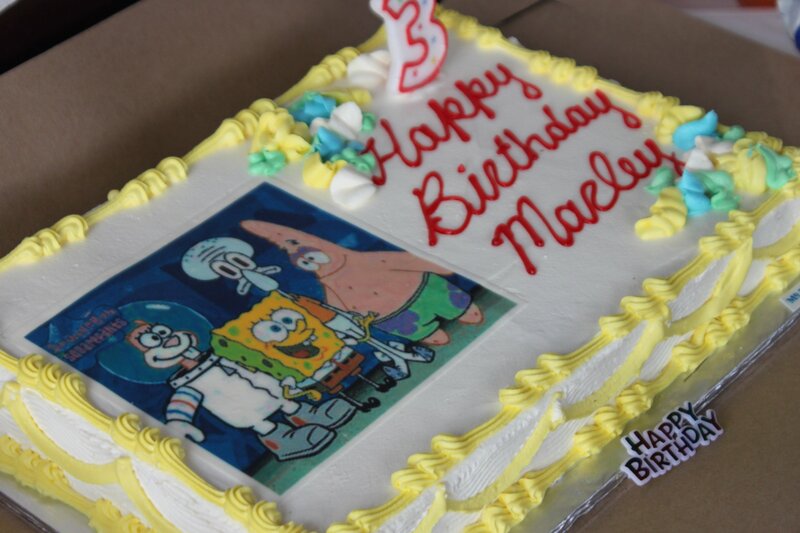 Ever since I found out that I could get a Spongebob bounce-a-about, I knew I had to have a Spongebob party for her. This bounce-about was the centrepiece of this party. 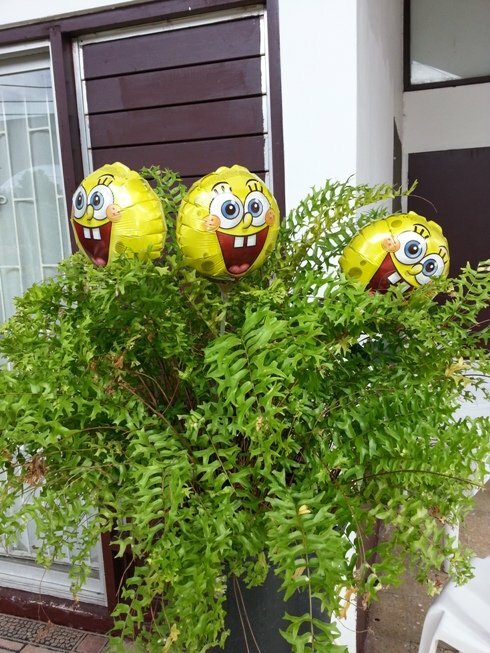 There was really no need for any more Spongebob games or decor. The kids went crazy for it, it is huge! 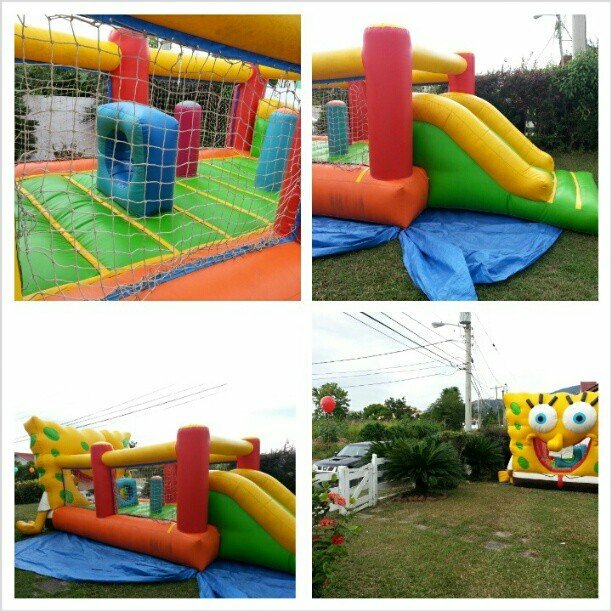 It has an obstacle course and a slide at the back…listen….I want it back for my birthday! Huge. If I had known, I would have ran a hose down that slide and turned it up a notch! Waterslide party! 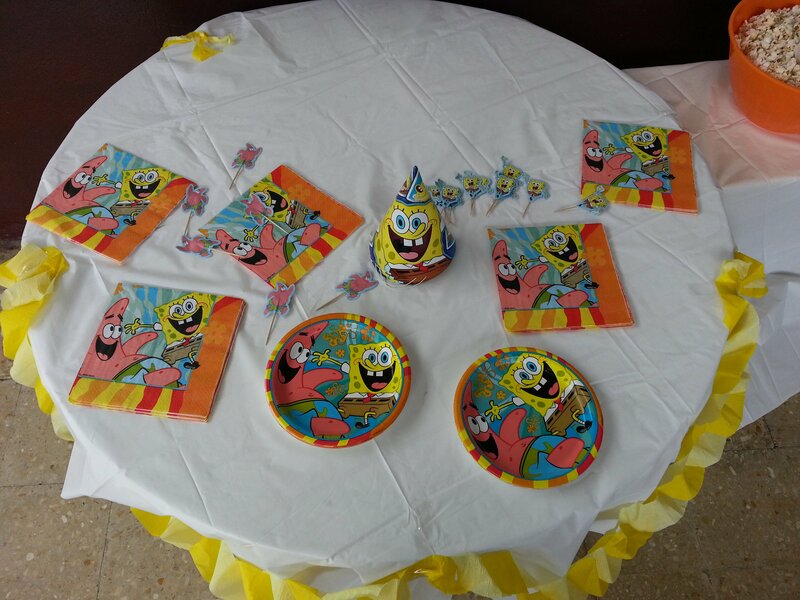 Everything was Spongebob from the balloons, to the plates and cups, to the birthday banner and picture backdrop. 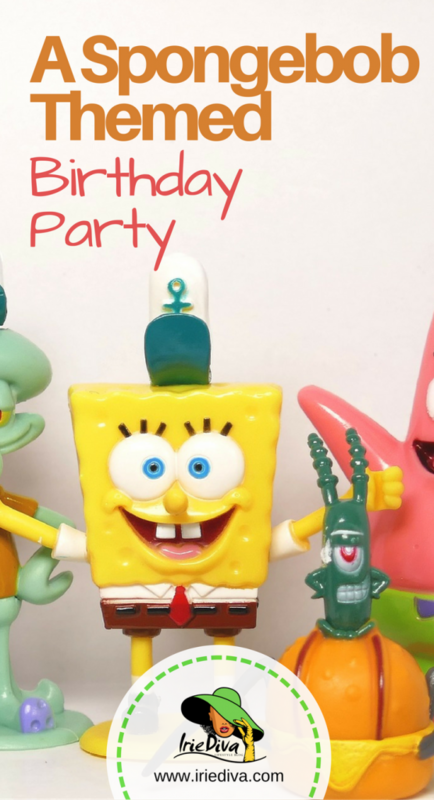 I searched Spongebob party supplies on Amazon and went crazy. I was pretty proud of myself when I was finished with the set-up. It was looking good. I also got a few Spongebob games including Pin the Tail on the Donkey and a Spongebob Pinata. 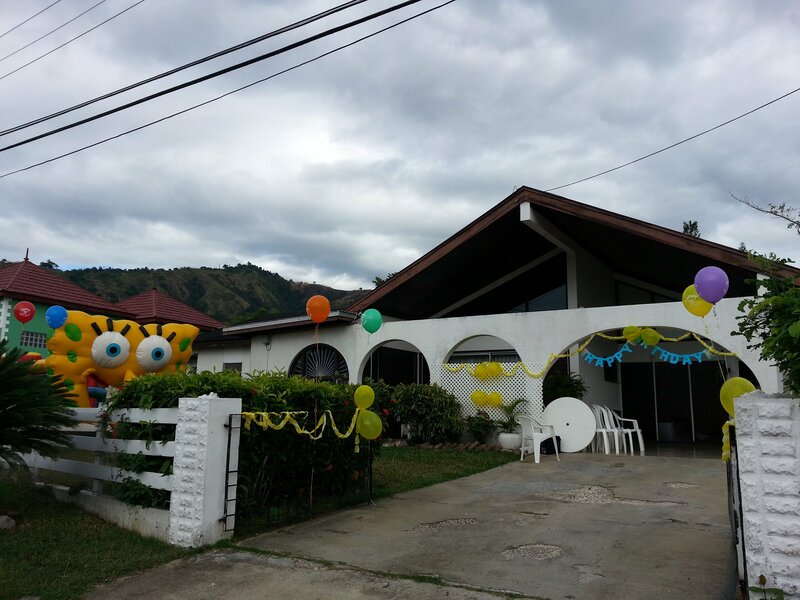 I kept the party pretty small, not wanting to be overwhelmed and had about 8 kids in total, until late evening when my aunt crashed the party with about 4 more. 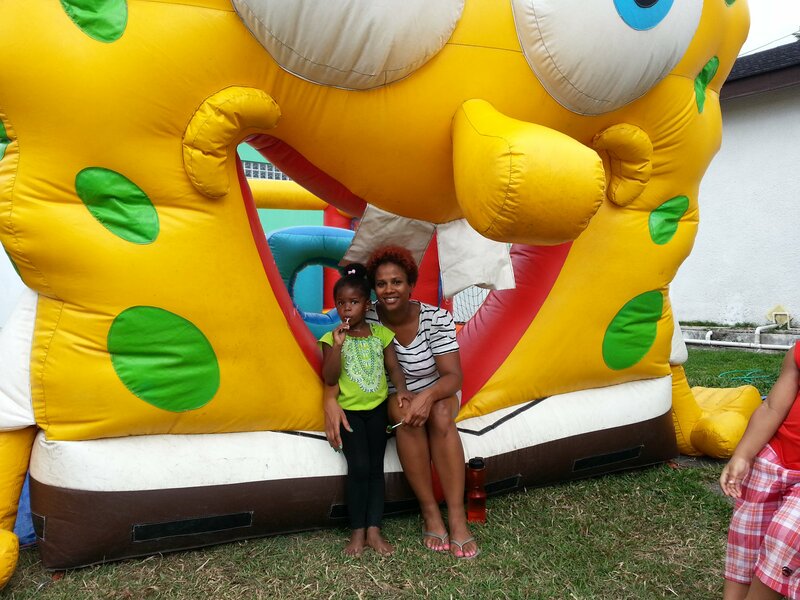 Munchkin’s best friend from her nursery so happened to also end up at her prep school with her, how awesome is that? But thanks in part I’m sure to the mountain of candy I unloaded onto the table, the bounce-about was full the entire time. I have to say thanks to Aunty Kerri for this great cake! Huge thanks to my in-laws for the help and special thanks to Grandpa for all the behind the scenes work. These past three years would have been terribly difficult if it weren’t for Grandpa. 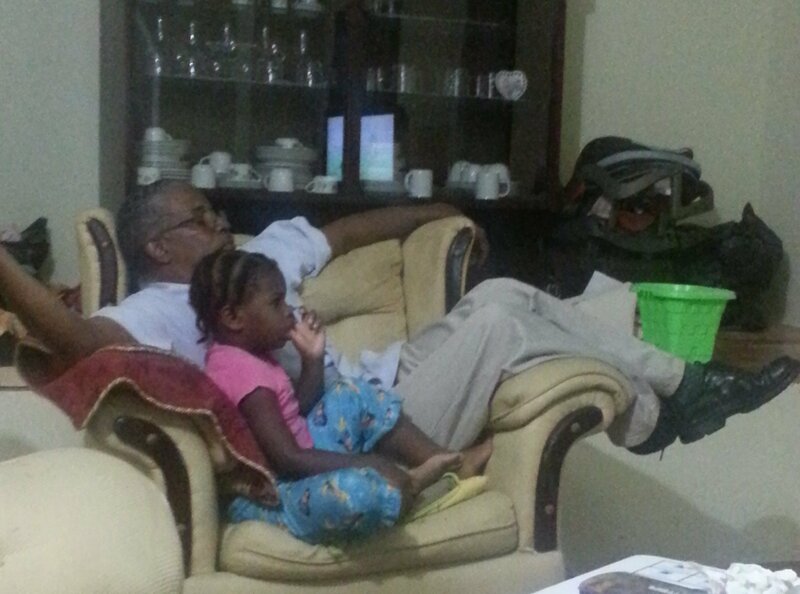 He has been there like I couldn’t have asked and even though he gets on my nerves, like old people tend to do, no one is in munchkin’s corner more than her grandpapi. They share a special bond that will last a lifetime. My little rockstar…we made a thank you video for all the gifts we received, please have a looksy at all the cuteness! 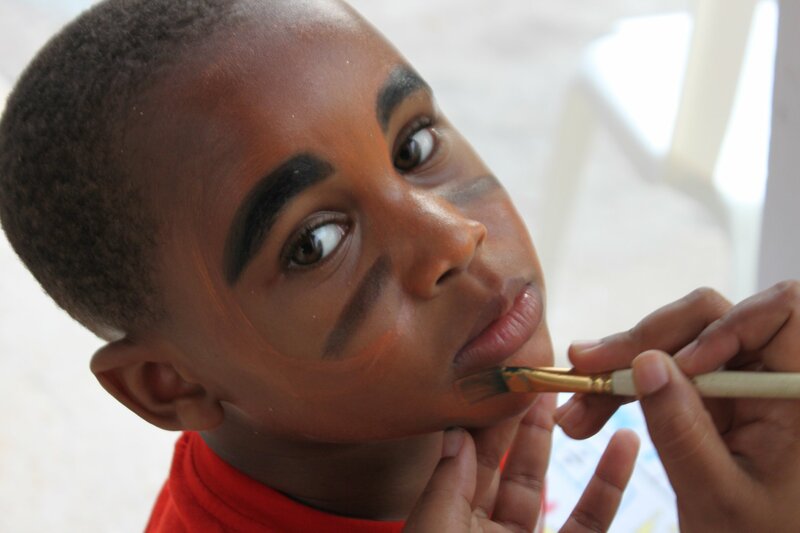 Her face is painted because she woke up the morning after and found the paint set. So, of course, she proceeded to re-do her makeup from the day before. 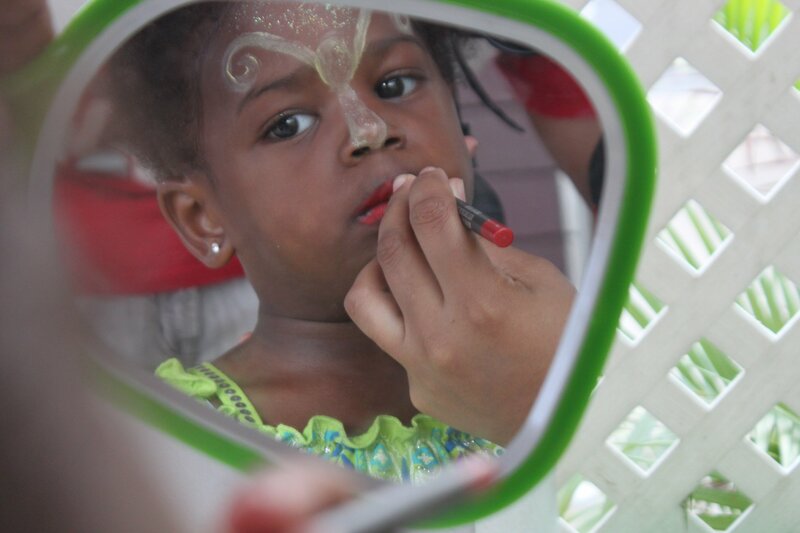 Oh lord, she is 3 already? Feels like it was just yesterday when u buss that ‘I’m pregnant’ blog post, damn. Youre so involved with her tho and the relationship with her and pop pop seems awesome. Keep up the good work mommy.